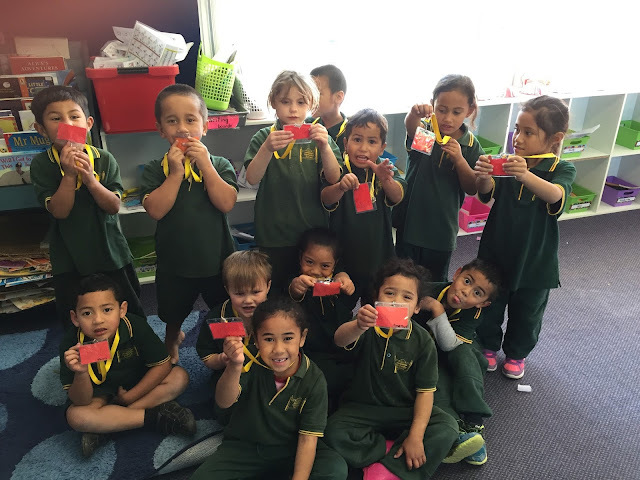 Miss Patrick has brought us these special necklaces. 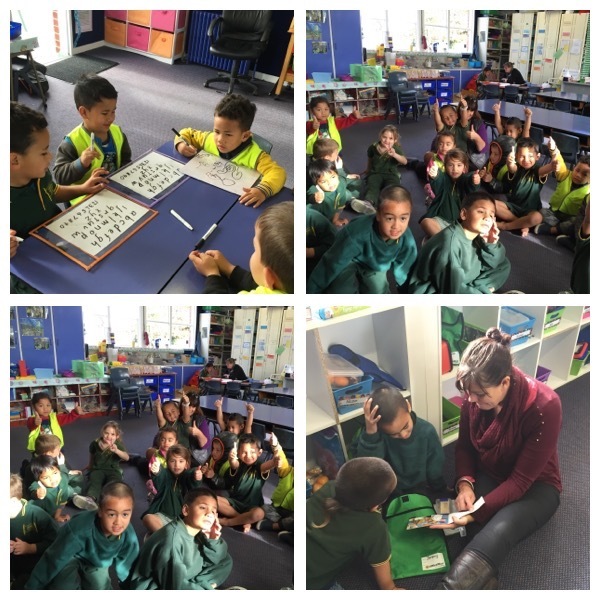 We have a word and the letter on it that we are learning for the day. When we are in the playground people ask us what we are learning. We love having these and sharing them with everyone at Netherby. Room 6 have been learning about recycling. We are trying to have less packets in our lunch boxes, but with the ones that we have we are making gorgeous art work with it. Miss Patrick came to school with a special surprise. We had to use the clues she gave us to guess what the surprise could be. 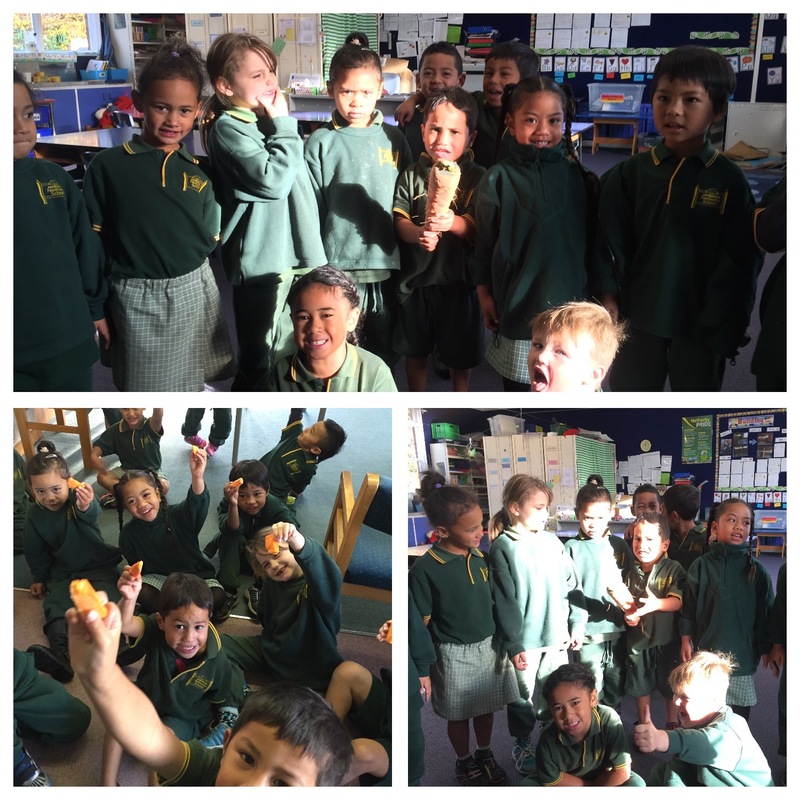 After we had completed our story writing we were allowed to go to the staffroom and have some of the massive carrot. The junior school are busy learning their lines and songs for our production. 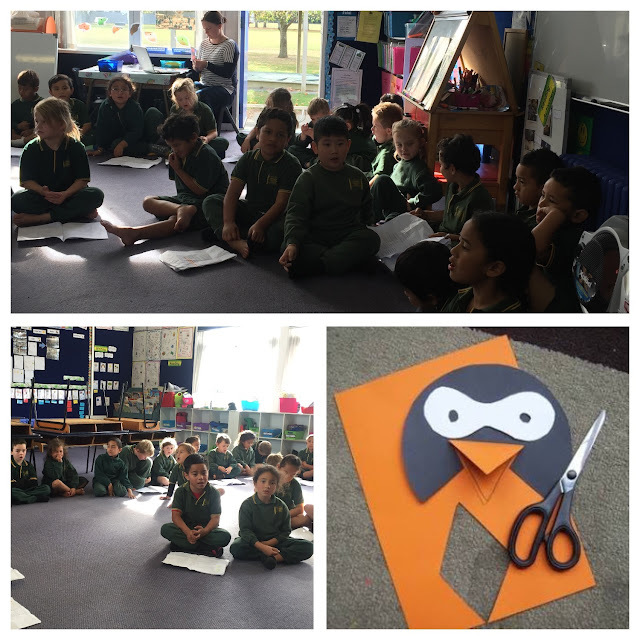 We would like to make a massive Thank You to the Bunnings Warehouse in Ashburton for the generous donation of materials for us to make costumes with. We were very lucky and had Merle Leask Kindy come to visit us. 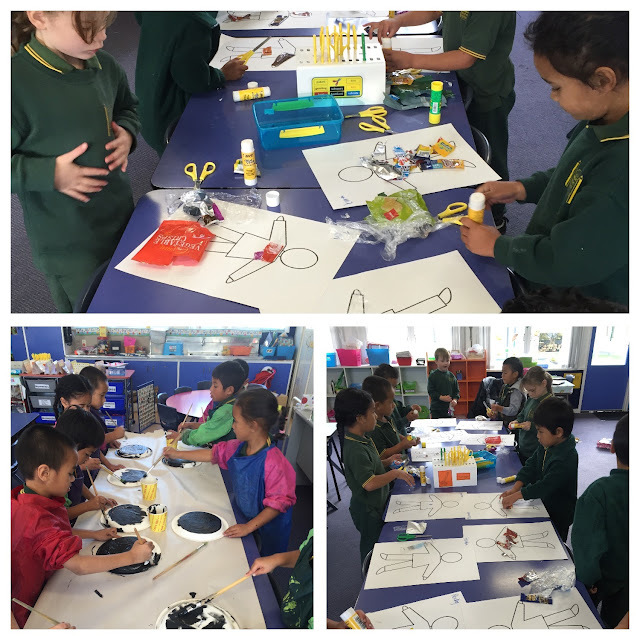 We loved showing them what we do in Room 6 and meeting the students who are going to be joining our class soon.